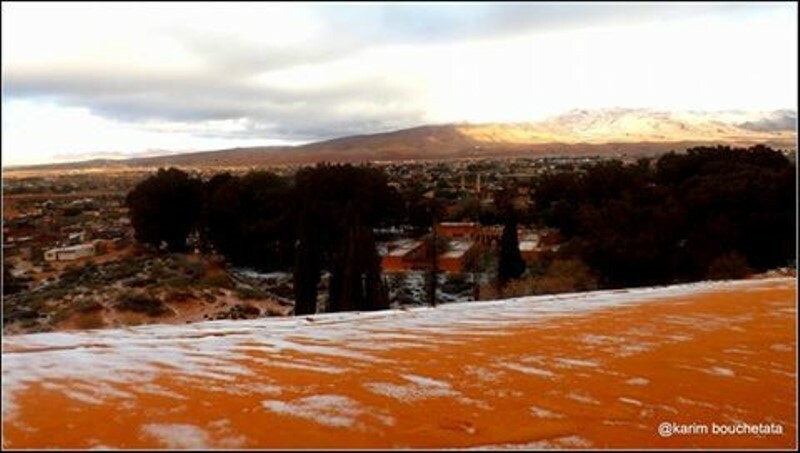 First Snow To Fall In The Sahara Desert In Almost Thirty-Seven Years! Mother Nature is full of surprises. The great diversity of artistic features present in this world is too many to account for. All we can do is just stare in awe at this remarkable beauty. Some of the landscapes, however, are completely incomparable to the rest. 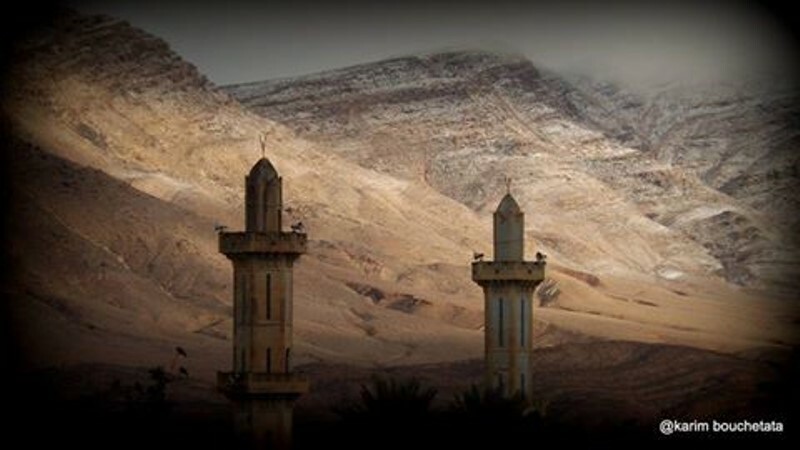 One such landscape is the Sahara Desert. It is also one of the most aggressive places in the world. We all know that the Sahara, covering an area of 3,600,000 square miles, is the largest desert in the world. 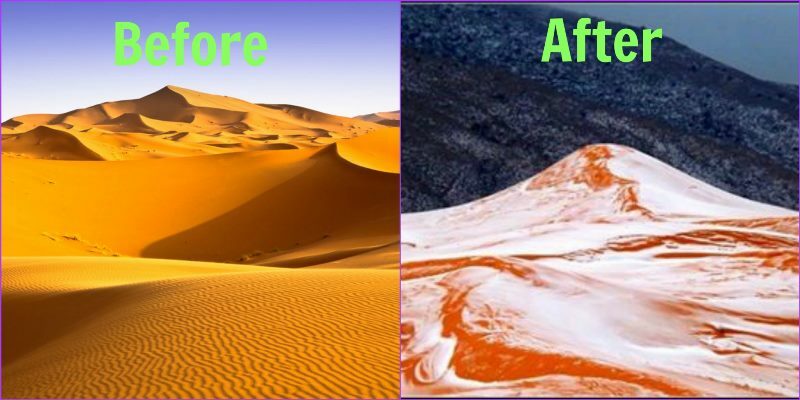 We are all acquainted with the red dunes of the desert, and with the blazing temperatures, it’s tough to imagine that this place can also get cool at times. 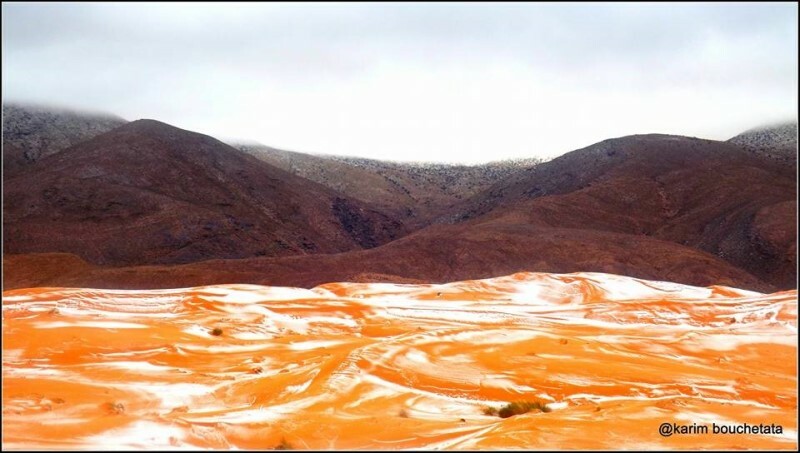 But that is exactly what happened recently – snow fell in the Sahara Desert for the first time in 37 years.